Fact: Trader Joe's isn't just a grocery store. It's a tiki-themed wonderland filled with pyramids of Cookie Butter jars and Two Buck Chuck. It's a place you enter thinking you only need to pick up milk but leave with a cart full of things you never knew existed -- PB&J chocolate bars, green tea mints, pumpkin macarons, roasted coconut chips, frozen tikka masala... the grub is unbelievable. The purveyors of novelty eats garnered a cult following over the years, with lines in New York wrapping around the building and spilling onto city streets. The brand has surpassed hipster-cool and become a household name. Yet, like any good relationship, TJ knows how to keep us on our toes while still holding true to what brought us there in the first place -- their classics. This year, the company dropped a list of their most popular customer products in 2013. We broke down the top-selling items by price and taste. Note, this year Triple Ginger Snaps dethroned Cookie Butter for the No. 1 title. Peruse below to see if you spot any of your addictions. After the initial crunch, the cookie's inner chewiness melts in your mouth as you bite into the hot, tangy crystallized bits ginger. Like most of Trader Joe's dessert finger foods, this comes in their standard bucket-sized packaging -- a gentle suggestion to share, but you'll probably be tempted to devour it all solo. 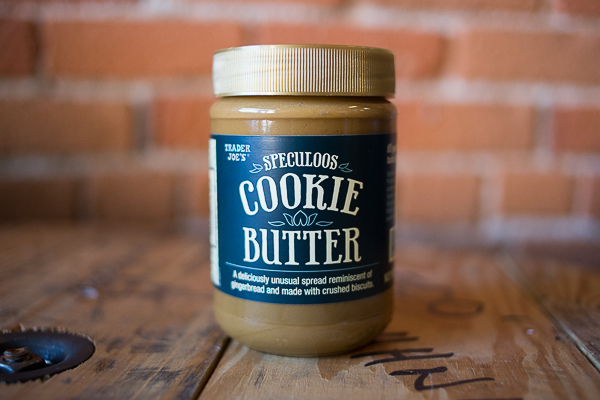 Protip: dunk in Cookie Butter (below). You've probably seen this on Instagram with the caption #omg #heaven #obsessed. Texture is creamy like peanut butter and has a nutty, cookie flavor. It's not unusual for jars of Cookie Butter to disappear the moment it hits shelves and the best/worst part is that is goes great on literally everything from apple slices, bread, shoelaces, etc. The Joe-Joe's line comes in vanilla creme, chocolate creme and the seasonal candy cane creme varieties. It's a lot less sweet than your regular Oreo fare and doesn't carry the same crack-worthy flavor. Still, like its cookie brethren, dunk > twist. This is not an option. This lighter-than-thou item claims to have 50 percent less fat and 40 percent less calories than regular guac. Think guac whipped with Greek yogurt, which lends a light taste that's surprisingly addicting (I ended up eating an entire container like pudding). Amazingly, the airy dip manages to keep it hearty with chunks of avocado, tomato, and jalapeno. 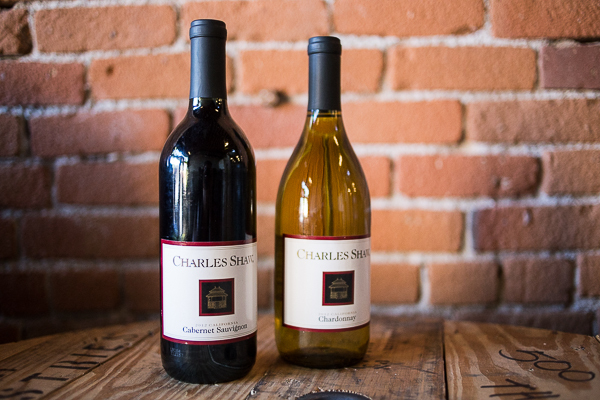 Yes, it's no longer the iconic "Two Buck Chuck," but at just 50 cents more, it's still a boozy come up. The quality varies, so it's a bit like wine roulette. 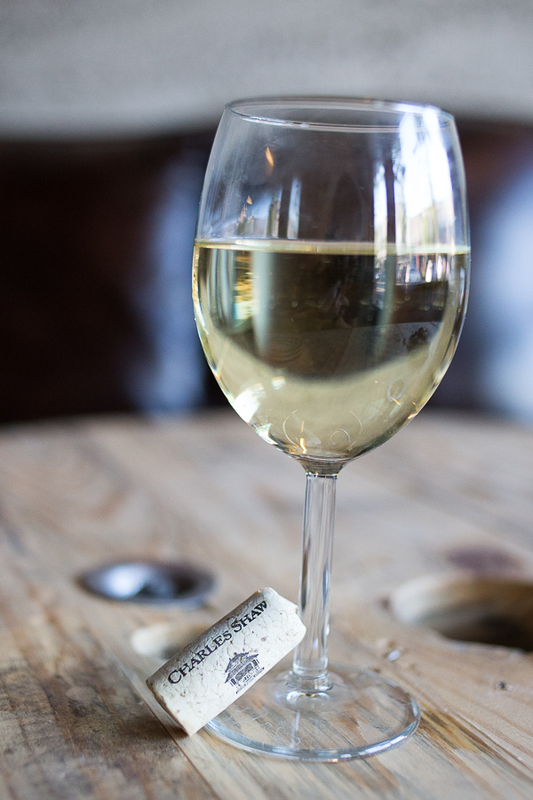 In general, however, the Cabernet Sauvignon and Merlot tend to be the best picks of the varieties, while the Saugvignon Blanc usually tastes like spoiled bananas. You've been warned. 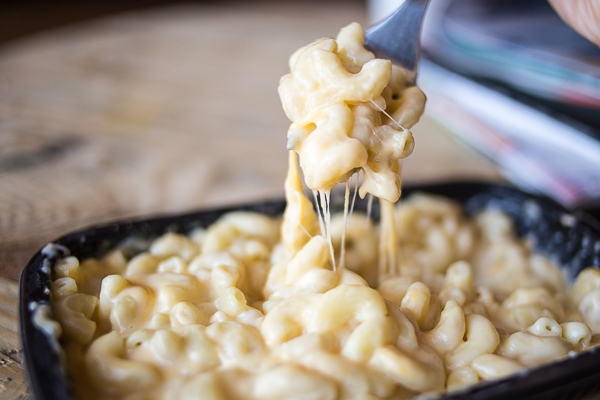 Gooey, melty and loaded with four different cheeses -- the cheddar, havarti, Swiss, and gouda help class this up. A compromise between frozen dinner and stove-top quality, this is as good as microwaved grub gets. Make sure to stir this with a knife before attempting to slather it on, as its more liquid than butter. While the saltiness can be overwhelming for some, the almond cuts through for a nice finish. Wear a bib with this one, as it gets messy fast. At 4 per box, it's a great deal and a refreshing option if you're looking for a break from beef. You'll definitely feel the citrus on this one, while the promised chile holds back. We dressed this up with the Reduced Guilt Chunky Guac, which helped amp the lime flavor, and drizzled on a healthy helping of Sriracha. Definitely recommend trying this at home. Fact: Trader Joe's kills the vegetable game. The fennel is no different and incredibly aromatic. Grill, sautée, or toss into a salad. You can even chop it up and sprinkle onto the mac n' cheese for a quick microwave "hack." The fact that this comes in brick pounds is dangerous. While you have the option of breaking it into proper bite-sized portions, you'll definitely want to tackle this with a friend or two. The flavor is exactly like their mini versions found near the cash register -- smooth, milky and indulgent. TASTES LIKE: I CAN'T BELIEVE IT'S NOT NUTELLA! 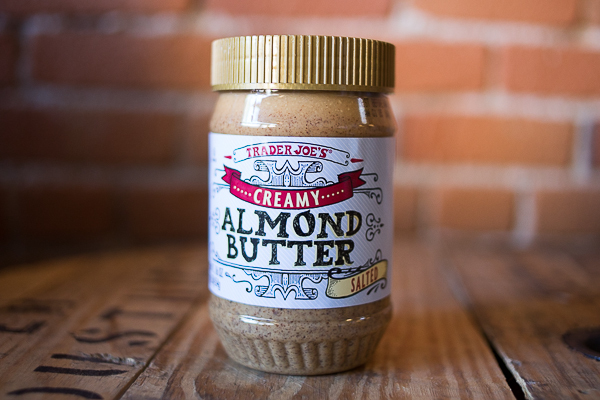 Trader Joe's shameless interpretation of everyone's beloved hazlenut spread manages to impress. 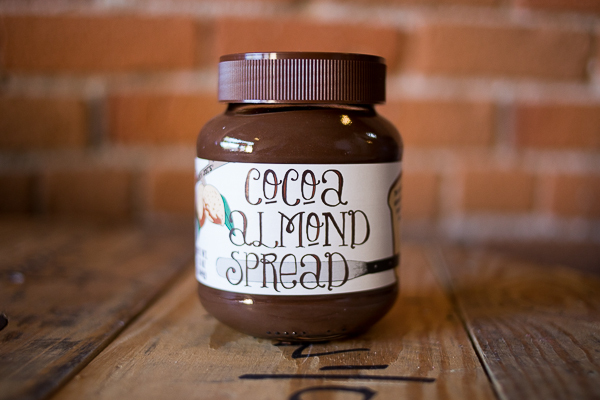 While there's the obvious lack of hazelnut in their version, the Cocoa Almond Spread delivers the same cocoa richness as the original. Just what we need. Another reason to eat dessert for breakfast. We see you TJ. Marcona almonds seem to be the gourmet food world's not-so-secret best-kept secret. Chefs name drop marcona almonds on menus, lauding the Spanish-bred delicacy for its sweeter taste and wet texture. Personally, I think of them as upgraded bar nuts. Plumper and softer than other varieties, Trader Joe's Marcona Almonds have a great oily feel with explosions of roasted rosemary. A great swoop for those who enjoy a lack of tomato guts in their salsa. The sweetness more than balances the spiciness and don't be shy if you get the urge to eat spoonfuls of this straight from the jar. I like to throw this on my taco when I'm feeling like adding a sweet, chunky change-up or on my burger to keep things interesting. Sometimes, walking into a Trader Joe's can be dangerous for chocolate lovers, as they carry everything from chocolate-covered potato chips to chocolate-covered almonds. These caramel snacks are a favorite of that category, packing an especially sweet combo of caramel decked in dark chocolate. Expect an incredibly sticky richness and don't be surprised when you accidentally finish off an entire box. Whoops. Remember what we said about TJ covering everything in chocolate? These chocolate orange jelly sticks aren't your average orange peels. Rather than hardened orange peels like most on the market, the jelly gives way to a soft, juicy inside. 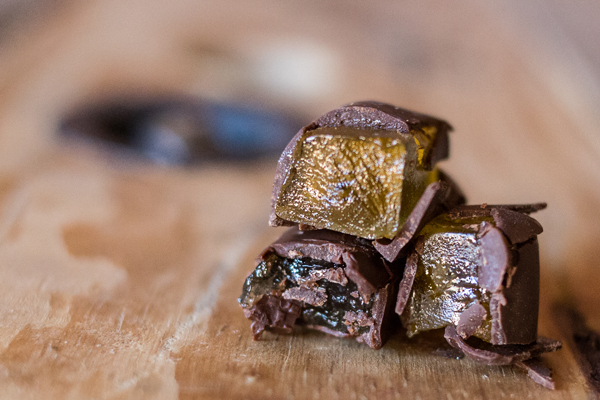 The slight bitterness of the dark chocolate adds a beautiful layer of complexity to this snack. TASTES LIKE: This was one of the products no one in the office had tried yet and to be honest, we expected it to be the usual frozen-to-table fare. Then, after heating it up on a skillet for a few minutes and dousing it in the microwaved sauce packet, our mouths melted. The chicken was crispy on the outside, tender and flaky on the inside. The orange tang of the sauce brought a superb punch of flavor, but didn't overwhelm the savory chicken taste. Usually, when you see "reduced guilt" on something you expect it to be a lesser version of it's more indulgent self. This spinach and kale combo manages to reverse this standard and take your average picnic dip to the next level. The replacement of Greek yogurt for sour cream lends an unexpected zest that's refreshing. The spinach and kale bits bring texture, making this low-calories dip feel hearty and satisfying. Big shout out to Chris at the Trader Joe's in Tustin, California for helping us tackle this phenomenal grocery list.